Computing giant Dell isn't giving up on Windows RT even though customers have been slow to react to the scaled down version (specifically for ARM-based tablets) of Microsoft's latest operating system, Windows 8. Neil Hand, vice president at Dell is reported by IDG to have said that Windows RT has "turned slower than we were hoping at this point in time". 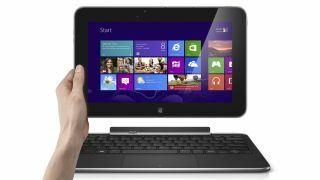 Dell already has a Windows RT tablet on the market in the form of the Dell XPS 10, which comes with a detachable keyboard similar to that of the Asus Transformer Pad Infinity. The XPS 10 didn't particularly blow us away during our in-dpeth review, garnering a mediocre 3 out 5 stars, and if we're honest we're yet to be really dazzled by a Windows RT tablet. It looks like Dell is willing to take its time with Windows RT, allowing the platform to grow with Hand noting: "over the long haul it shouldn't matter if it [tablets] is Windows on ARM, Windows on Intel, Windows on anything else". Those hoping for a smaller Dell tablet may be out of luck for now, with the American firm focussed on the 10-inch arena for the time being, as these larger devices can sport bigger batteries and can be docked easily into a laptop style keyboard. That's not to say the firm isn't looking at the increasingly popular 7- to 8-inch tablet spectrum and Hand said "we'll make sure we are strong and aggressive in the consumer price/consumption driven piece of the market". So watch this space.